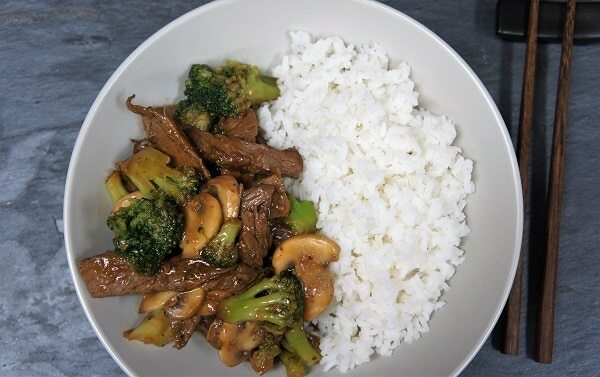 If you’re trying to stretch your food dollar, there are few ingredients that will serve you better than white rice. White rice is cheap, filling and delicious. It’s also easy to make, just follow a few simple steps and you are guaranteed success. Bring the water to a boil in a medium pot. Add the salt and rice to the pot, stir briefly and lower the heat to medium. Boil, uncovered, until most of the water has cooked out and the bubbles are breaking the surface of the rice, approximately 7-10 minutes. The rice should be visible on the surface. Lower the heat to low and cover. Cook the rice for about 25 minutes, fluff with a fork and serve. Here are a few tips that will help you avoid the pitfalls associated with cooking white rice. 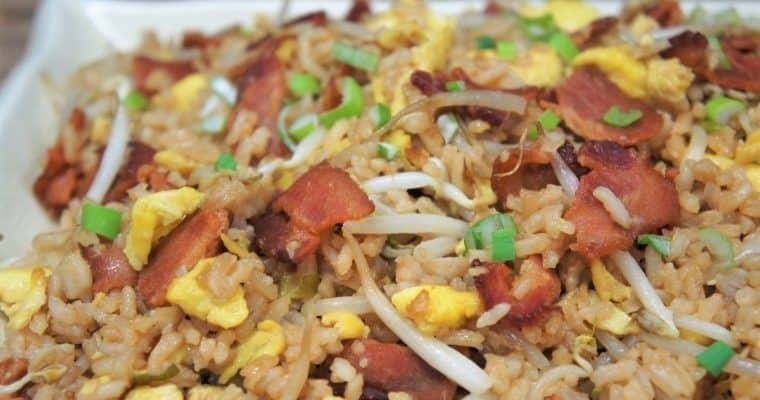 The secret to great rice is to not over stir, resist the temptation. If you rinse the rice prior to cooking you rinse out some of the starch which makes the rice less sticky. I usually don’t rinse my rice because washing removes nutrients the rice is enriched with. Once the cover is on, let the rice cook on low heat, even if you are in a hurry. Raising the heat will not make the rice cook faster; it will only serve to burn the rice and make your pot really difficult to clean. The water to rice ratio for white rice is 2 to 1. For example: if you are making 2 cups of rice add 4 cups of water, just remember to increase the amount of salt too. 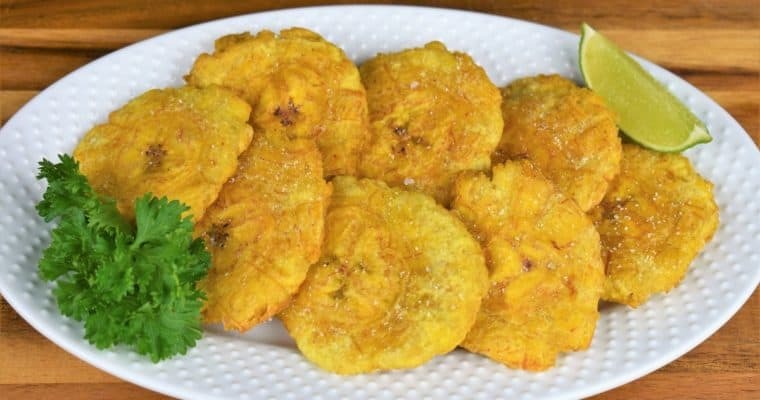 A classic Cuban side dish, tostones are fried green plantains; actually they’re twice fried green plantains. They’re really good with all kinds of dishes.